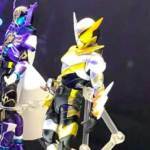 New Kamen Rider Climax Scramble Trailer Released! A new trailer has been posted for the upcoming Nintendo Switch video game, Kamen Rider Climax Scramble! Taking center stage in this new advertisement is Japanese wrestler & tokusatsu alumni Hiroshi Tanahashi teaching his young son how to digitally channel the powers of Kamen Rider. Climax Scramble will feature a total of 31 playable Kamen Riders- from Kamen Rider Kuuga to Kamen Rider Zi-O and several more in between! Gameplay includes VS Mode and 2-player team battles. 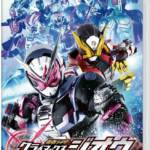 Kamen Rider: Climax Scramble will be released on November 29 2018! Revealed yesterday during Tamashii Nations 2018, we now have our first clear images of S.H. Figuarts Kamen Rider Build Rabbit Dragon Form! Originally under a photo ban with a variety of other items at the show, Build Rabbit Dragon can now be seen in all it’s golden & silver glory. An extensive repaint of the Rabbit Tank mold, with some new dragon parts courtesy of Cross-Z, this form represents the fusion of Sento & Banjou’s powers as seen *very* briefly in the series finale. Could something like this actually see release? Even as a limited web exclusive? I personally hope so, but time will tell. You can continue to follow our updates from Tamashii Nations 2018 by clicking “Discuss on the TokuNation Forums” at the bottom of this post. Our coverage continues! 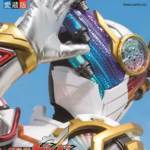 In the upcoming Kamen Rider Build New World: Kamen Rider Cross-Z V-Cinema special, Kamen Rider Cross-Z acquires a new power. 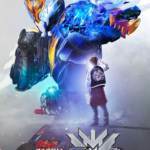 Using the Muscle Galaxy Full Bottle, Ryuga Banjo becomes Kamen Rider Cross-Z Evol, and we now have our first look at this magnificent form in all of its glory. 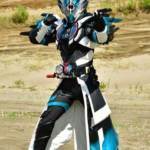 In addition to Cross-Z Evol, a spider-themed character named Killbus was also revealed and will serve as the film’s main antagonist. A limited theatrical release of the film will begin early 2019 while the Blu-Ray/DVD combo pack will be released in April and will include the DX Muscle Galaxy Full Bottle. This impressive new box set is currently up for pre order on Amazon Japan for 12,960 yen. The Love & Peace set will be released on December 20th 2018.